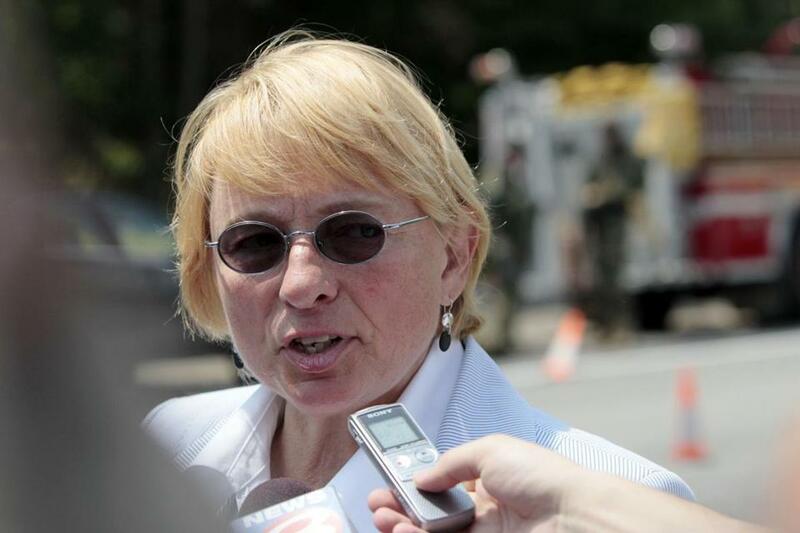 State Attorney General Janet Mills — who is named as a defendant in the lawsuit — has a history of supporting abortion rights, but she is legally required to defend the Maine statute regarding who can perform abortions. Julie Jenkins was on the job as a nurse practitioner in northern Maine recently when she got a call asking if she could help oversee an abortion that day. The patient would drive to the clinic in Presque Isle near the Canadian border, where Jenkins would check her ultrasound to confirm she was 10 weeks pregnant or less and eligible for a medication abortion in the form of five pills — one taken in the office and four at home. But because no doctor was available, the patient was rejected for treatment. Jenkins is now a plaintiff in a federal lawsuit filed in September targeting a decades-old state law that allows only physicians to induce abortions. It is a requirement shared by 40 other states. Because of Maine’s vast rural expanse and often difficult travel conditions, the American Civil Liberties Union has settled on the state as promising terrain to challenge the law, which carries criminal charges for people who perform an abortion without a physician’s license. In exploring this next frontier in the battle over abortion rights, advocates are hoping to build on a Supreme Court ruling in 2016 that struck down a Texas law requiring doctors to have admitting privileges at a hospital near where the abortion is performed and mandating clinics to meet the standards of surgical centers. If successful in Maine, the plaintiffs in the case, filed in US District Court for the District of Maine, expect similar legal challenges across the country. Advocates of preserving the status quo argue that requiring physician involvement in abortions is important for patient safety. But the lawsuit argues that the law places an “undue burden” on women in Maine seeking to terminate their pregnancies. Allowing certified nurse midwives and advanced practice nurse practitioners like Jenkins to perform the procedure, they argue, would give women the access they are entitled to under the Constitution. Jenkins, a 44-year-old clinician with specialized training in women’s health care, pointed out that she was ready to assist the woman after she got the call from the Maine Family Planning clinic, which was coordinating the patient’s care from its headquarters in the south part of the state. US Representative Chellie Pingree, who lives on the island of North Haven in Penobscot Bay, where obtaining an abortion can require multiple days of travel to and from the mainland, said she sees no reason to keep the law. The law wasn’t always seen as an ideological tool. It passed the Maine state Legislature in 1979, six years after the landmark Roe v. Wade Supreme Court decision legalized abortion across the country. According to local press accounts from the time, while other laws restricting abortions sparked emotional debates among politicians in Maine’s capital, the physician-only statute passed with little controversy. The law was originally drawn up to protect women from back-alley providers, so there was little to argue over then, said Kathy Simmonds, an assistant professor of nursing at Massachusetts General Hospital Institute of Health Professions, who lives and practices in Maine. “We don’t like Maine women used as test markets or guinea pigs for the rest of the country,” she said. Abortion rights advocates say that fear of medical risk is unfounded, pointing to evidence that advanced practice nurse practitioners have similar results to physicians when performing the procedures in other states. The Maine Medical Association has no safety concerns about advanced practice nurse practitioners performing abortions, said Gordon Smith, the organization’s executive vice president. “[The law] wasn’t written with this kind of foresight of what was going to happen with those emerging health professions,” Simmonds said. Since the 1970s, not only is there a new class of clinicians trained to perform abortions, Simmonds said, but there is a new method for abortion in the form of medication. The pill commonly used today did not hit the market until 2000, she said. Two nearby states, New Hampshire and Vermont, already allow advanced practice nurses to perform abortions. In Massachusetts, like Maine, performing an abortion without a physician’s license is a criminal offense. In Maine, there are three public clinics open to women who aren’t already established patients that provide so-called aspiration abortions, which use vacuum or suction to remove the contents of the uterus through the cervix. Those clinics are concentrated in urban centers in the southern half of the state. A patient can obtain a medication abortion at 19 sites in Maine, but access is limited by physicians’ availability, said Zachary Heiden, an ACLU lawyer in the case. The ACLU has rooted its argument in scientific studies showing there are no safety concerns with advanced practice nurses performing aspiration abortions in states such as Vermont and California. Her office plans to argue that a series of Supreme Court cases affirms a state’s right to mandate a role for physicians in abortion care, said Christopher Taub, the assistant attorney general representing the state. This includes a 1975 decision, Connecticut v. Menillo, in which the court found that states could require that only physicians perform abortions. Mills — who is running for governor — also plans to introduce a bill to the state Legislature before the 2018 session that would expand the universe of people who can perform abortions to include advanced practice registered nurses and physician assistants, Taub said. Abortion rights groups are skeptical that Governor Paul LePage, an abortion opponent, would sign the bill if it passes the state Legislature. LePage’s office did not respond to requests for comment. The different laws in New England states make for uneven access. Katie Riley, a nurse-midwife for Planned Parenthood of Northern New England and a plaintiff in the case, has performed dozens of medication abortions across the border in New Hampshire, but finds herself hamstrung back home in Maine. Julia Jacobs can be reached at julia.jacobs@globe.com. Follow her on Twitter @juliarebeccaj.